Concrete Contractor License #60817; View our official NYC.Gov Building department page. 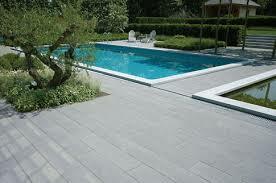 New Age Concrete contractors in NYC offer our consumers a wide selection of concrete work. New Age Global Builders will pour concrete on driveways, finish concrete, build you a porch and install steps. We are experts at decorative concrete as well. Residents in areas like Queens & Manhattan NYC can feature driveways, walkways, and sidewalks as the pearls of their home. That it why hiring a fully licensed and top rated company like New Age Global Builders is so important. Take advantage of our best price, quality, and warranty guarantee and call (718) 690-1361 today. Home owner searching for decorative concrete in NYC have lots of incredible options nowadays. Custom concrete floors are gorgeous and can be a very fun project. Using methods like staining & painting New Age Global builders can help you design and build the concrete of your dreams. Our service area runs from Manhattan to Queens & the all the 5 boroughs NYC. We also offer office space buildouts and renovations, office space contracting services, and office space design. We are licensed and insured New York hotel, retail, and office building contractors.